Place the fish in a small mixing bowl and season with the salt. Allow this to sit on the salt for 10-15 minutes while preparing the remaining ingredients as specified. Add the lime juice to the fish and let marinate in the refrigerator for 1 hour. Add the rest of the ingredients into the bowl with the fish and gently fold together. Pake a crispy tortilla shell and put it in the center of the bowl. Scoop 4-6oz of the prepared ceviche on top of the tortilla. Garnish with the avocado and squeeze the fresh lime juice when serving. Heat the butter in a large skillet over medium heat. Add onion and garlic and saut? for a bit until the onion is slightly softened. Add the tomatoes, salt, pepper, squeeze of lemon juice and a light sprinkle of thyme. Cook for 2-3 minutes, until the ingredients just begin to resemble a chunky fresh pasta sauce. Lightly salt & pepper the fish fillets and add them into the pan. Cook each fillet for about 2-3 minutes per side (continue flipping 1-2 more times, depending on how thick the fillets are and how quickly they cook). Fish will be done when it's white and begins to flake. Serve it with the sauce scooped over. The Pacific red snapper is one of the most versatile and resourceful fish one can find. This type of species is sold through several names. Some of its names include Rockfish, Rock Cod and Red Snapper. There are about 70 species of rockfish found in the Eastern Pacific. These range from the Bering Sea to Baja California. Approximately, only about 12 snappers or so are caught in significant commercial quantities. The Pacific rockfish family is the most important year-round source of groundfish on the West Coast. Many rockfish take their names from their skin color like blue, green, brown or red. Usually, the brighter the skin color, the deeper dwelling the fish. Several rockfish fillets are usually sold being red or brown. Although they are somewhat in slow growth, rockfish range from about 1 to more than 40 pounds, depending on the type of species. The Pacific red snapper, has a lower oil content and has a long shelf life. When considering fish, most fish are high in protein, low in saturated fat. They are also a unique source of extremely beneficial compounds called omega-3 essential fatty acids. The Pacific Red Snapper is a very good source of protein. It is also regarded as a food that can provide almost 15% of the required daily value for omega-3 fatty acids. The firm, mildly flavored, white-fleshed snapper can be prepared very simply or as a gourmet meal. Red Snapper can be blackened, broiled, crumb-coated, baked or placed as a raw sushi. Get the great red snapper or rockfish as is well-known from Andersonseafoods.com. They are an online seafood company which is dedicated to serving several customers around the world. They have over 30 years of experience in the seafood market. The services include importing, processing, custom packaging and distributing all varieties of fresh, frozen and live seafood products. 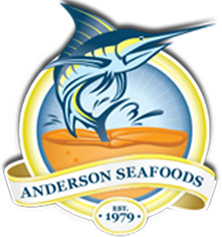 Located in America, Anderson Seafood is the most trusted source for the best pacific red snapper and all types of seafood. Make Andersonseafoods.com the place for buying the most affordable and wholesome seafood today! Most fish are high in protein, low in saturated fat and a unique source of extremely beneficial compounds called omega-3 essential fatty acids. Snapper is no exception. The Pacific Red Snapper is a very good source of protein, and a food able to provide almost 15% of our daily value for omega-3 fatty acids in one 4-ounce serving. Each bag contains 2 fillets averaging 6-8 ounces each. When buying Red Snapper online, make Anderson Seafoods your first and last source.